Today found us off to Honfleur, a harbor village on the English channel. We took the wrong exit on a traffic circle, crossed over a beautful bridge and almost went to Calais, where you can cross the channel on a ferry. Fortunately our skilled driver and navigator and grumpy gps got us back on course and home to Giverny. We painted in Monet's Garden during after hours tonight and were inspired by the beauty of the garden. 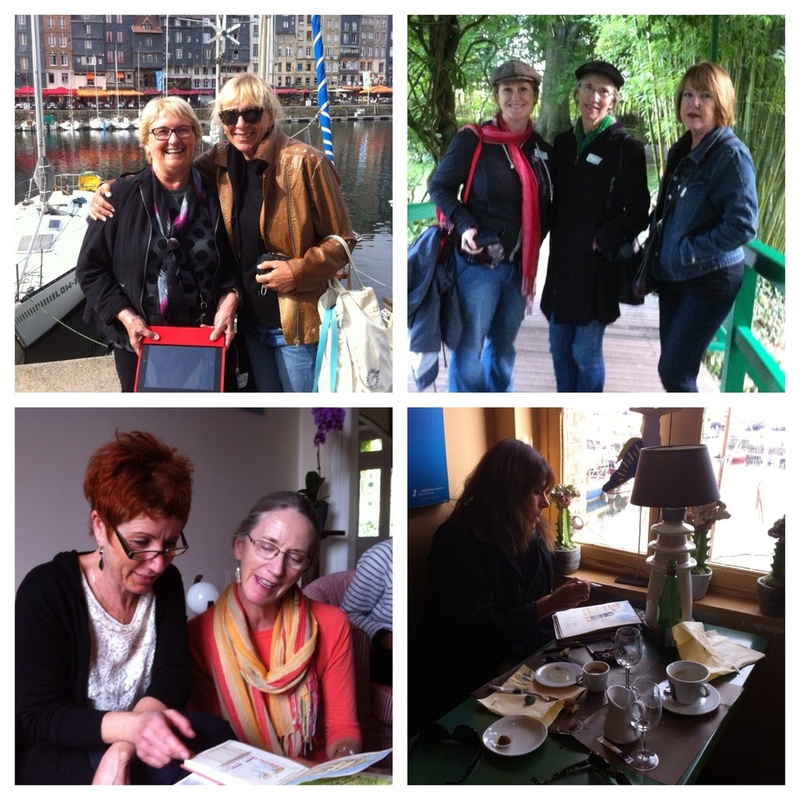 Top left: Carol and Ruth, top right: Sarah, Debbie and Carol, bottom left Sandrine, the owner of our B and B, Les Jardins des Helene and the most helpful woman in the world, and Debbie. 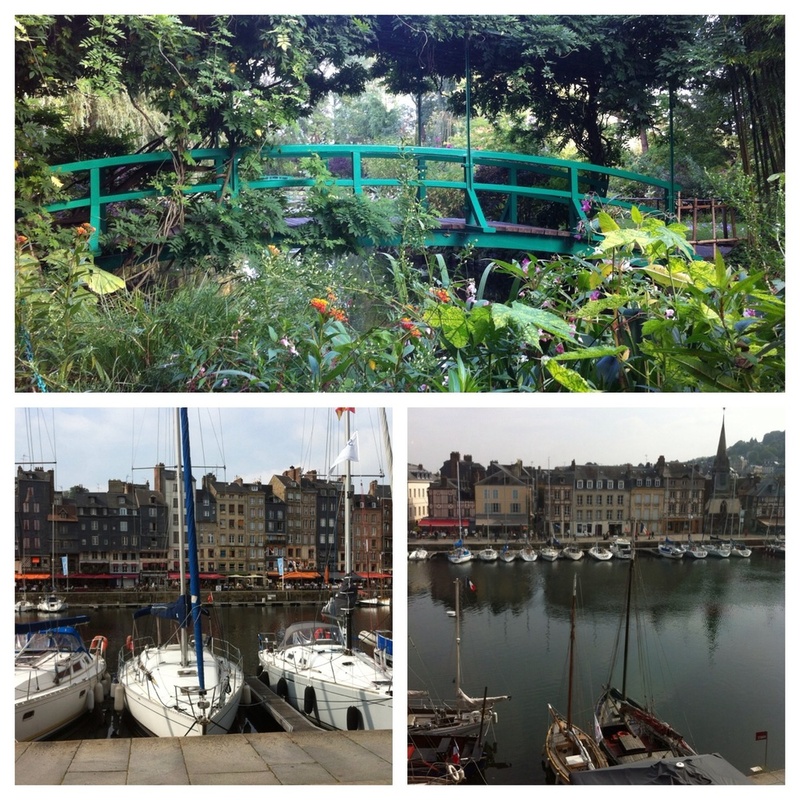 Bottom right, me painting in Honfleur.